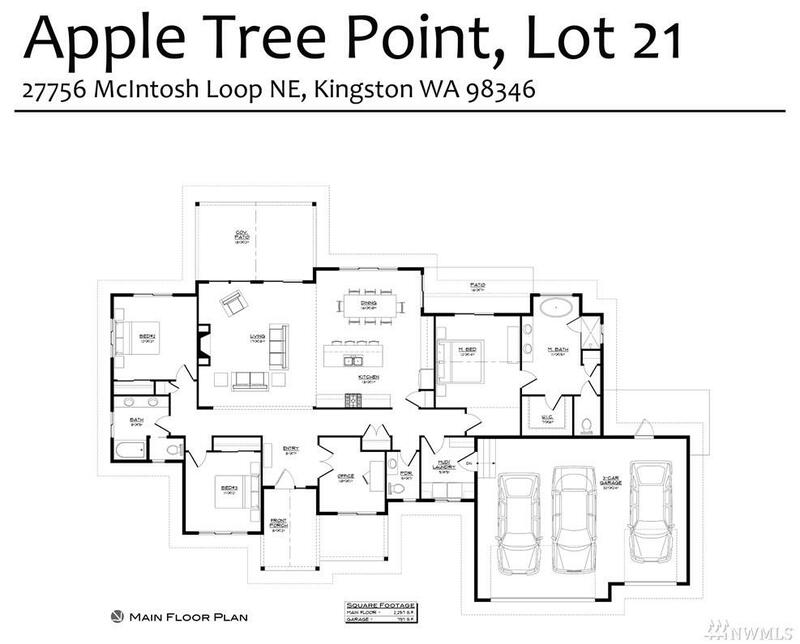 Northwest Signature Homes features 1 story homes with 3 car garages all on 1/2 acre lots. Ferries, shopping and bus service minutes away. Natural light with open floor plan. Vaulted ceilings, 3 BD, 2.5 BA with den/office. Gourmet kitchen with Island, pantry, quartz counters, SS appliances, master is private w/additional 2 bedrooms on opposite side of house. Propane fireplace and cooking. Covered patios overlooking your private lot. Front yard landscaped back seeded. Interior designer finishes.